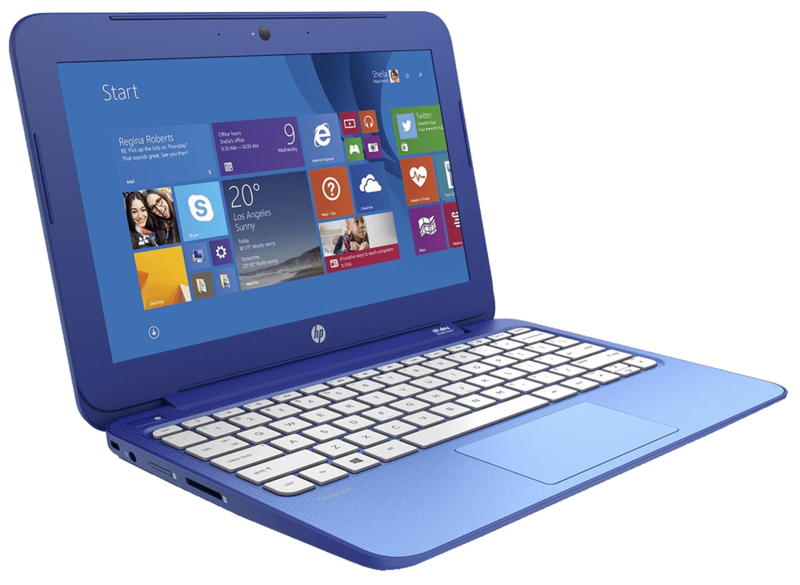 Today we’re taking a look at the HP Stream 11, 2016 edition. This is one of the most popular budget notebooks on the market, so let’s take a look at the new addition. 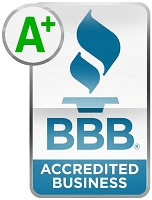 We’ll start off as usual by breaking down the specifications. You’re getting an Intel Celeron N3060, 4Gb of RAM which is a big increase over last year that only had 2GB. You’ll be viewing an 11.6” HD panel, 32GB of eMMC Flash Drive storage, also one year of Office 365 for free all for a retail price of $199.99 USD. As for the webcam, it’s not good, maybe we’ll have to wait until next year for a HD cam. 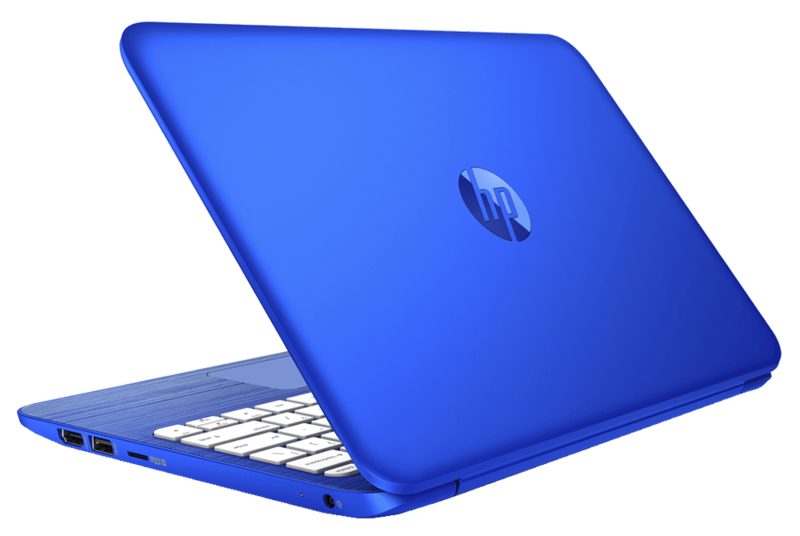 The design on the 2016 HP Steam is pretty clean and basic; however, this year’s model groove that go horizontal on a light blue or white plastic lid. It weighs 2.57 pounds and at its thickest point measures 0.71 inches. Overall it has a very clean look. 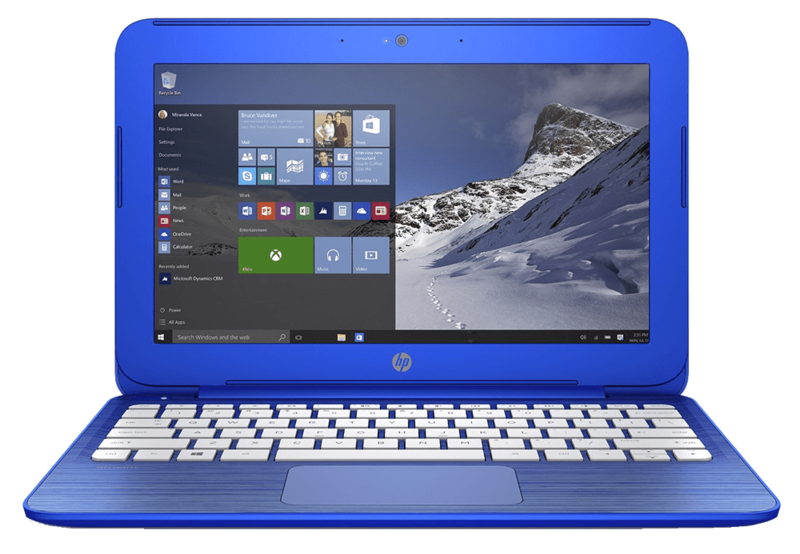 The interior of this laptop is almost to last year’s model, and you still get the horizontal grooves in the palm rest and looks pretty similar to the HP Pavilion line of laptops. Here we take a look at the left side and it offers a full-size HDMI USB 3.0, a microSD card slot and your charging port. Turning it around on the right side we have the Kensington Security Lock Slot, a USB 2.0, and the headset microphone set combo and the power status LED indicator. It’s pretty basic, but then again we’re dealing with a pretty basic laptop of about $200. Perhaps the biggest upgrade is the Intel Dual Band wireless-ac 7265 which is a 2 x 2 wireless card with Bluetooth 4.0. Last year’s model only had the wireless-ac 3165. The 2016 Stream 11 comes equipped with a 11.6” HD display with a resolution of 1366 x 768p. Keep in mind that this is a TN panel so the color accuracy is poor just like all budget laptops. The Spyder4pro rated the sRGB at 56% and the Adobe RGB at 42%, obviously these are very low reports. The viewing angles from left to right aren’t too bad; however, when viewing from top to bottom the viewing angle begins to get very limited. Screen brightness was very decent at about 227 nits, which is good for indoor usage but not so much for outdoor usage. HP did provide 32GB of eMMC flash storage but hpout of the box you’re only left with about 15-16GB free. Read and write speeds are decent, but not up to par like a regular SSD. It is faster than the traditional 7200 RPM hard drive. Read speeds were clocking at 138.6 MB/s and write speeds at 70.72 MB/s. Thankfully there is a microSD slot for expandability. 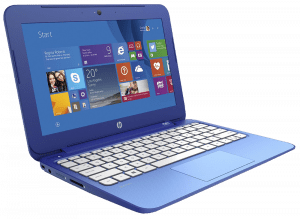 This year’s performance from the HP Stream 11 has been much improved compared to last year’s model, thanks to the 4GB of RAm and the faster and more efficient Intel N3060. Whether you’re browsing the web, watching YouTube clips or working on some project for school this new chip runs more efficiently and gets the job done. 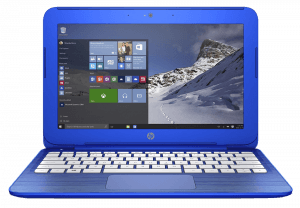 This new HP features a HD graphics card 400 with this light duty chip you can expect to play Minecraft and League of Legends on low settings and have about 40-55 frames per second. Don’t be surprised though if some high intensity scenes dip to 17-25 fps. Not sure if we covered this before, but this is a budget laptop. This is a fanless notebook so it’s really quiet, but on its own it runs efficiently and nice and cool. There were no excessive temperatures during testing. Using some of the day-to-day functions of this laptop takes about 10 seconds from launch to finish. Not terribly fast, but at this price it’s a pretty good compromise. Bear in mind websites such as ESPN, NY Times, CNN, and other heavy media laden sites will take much longer to load than your average Google page. But, this processor handles it pretty well. So far out of the $200 laptops this keyboard seems to hold its own the best. The spacing is good, the key travel is great and the overall typing experience is beyond decent. The trackpad is super sensitive, and for some maybe too much so. It also has a tendency to skip if you press down softly. Your normal functions of two-finger scrolling and multi-touch gestures were just fine. The sound quality from these two bottom-facing speakers are pretty decent and measure in about 92dB tops, but the sound is precise and accurate. 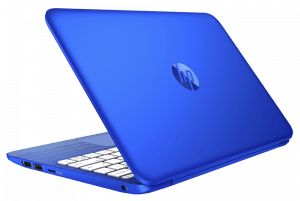 The HP locked in a 2-cell 37.6 watt hour battery pack and with light to medium usage of web browsing and streaming you can expect to get between 6-8 hours on a full charge with medium screen brightness.